Dr. Sarno and sacroiliac pain syndromes relate to one another due to the possible mindbody causation of chronic SIJ symptoms. 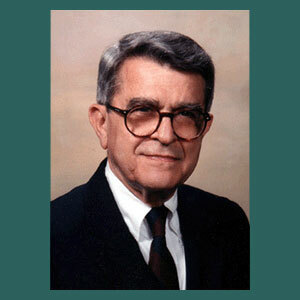 Dr. John E. Sarno is most famous for his lifelong work diagnosing and treating TMS, also known as tension myositis (more recently myoneural) syndrome. This is a classic mindbody disorder that serves the psychoemotional needs of the subconscious mind, usually in the capacity of a defense mechanism. TMS is certainly a far departure from the usual Cartesian model of structural causation common to virtually all sacroiliac joint diagnoses. Instead of theorizing that joint disease, deterioration or ligament problems are responsible for pain, TMS theory dictates that it is the mind which creates the symptoms. The pain is real and not imaginary, as is the common misconception of psychosomatic phenomenon. However, there is no structural basis for the pain to exist, although there are often coincidental scapegoat structural issues found that are perfectly suited to accept blame. This fact explains both the seeming treatment-resistant nature of some structural conditions (since they are not the actual source of pain), as well as why so few patients are correctly diagnosed with mindbody variants of SIJ pain. This treatise examines Dr. Sarno and his work with TMS patients whose primary symptomatic location is the sacroiliac joint. Unlike most physicians who derive their beliefs from Cartesian philosophy, Dr. Sarno did not believe that most chronic pain occurs due to structural defect, degeneration or injury. Instead, Sarno has said that TMS pain originates in the mind, but is expressed in the body. The mind often chooses to locate pain in locations where structural abnormalities are present in order to provide them with greater credibility and to keep the patient focused on the region as a “damaged” part of the body. The actual process through which the mind enacts pain is called ischemia. This is a mechanism that is created by the purposeful constriction of small blood vessels and a subsequent lack of blood and oxygen reaching the target destination. Without oxygen, cells begin to suffer painful symptoms and when this deprivation is maintained long-term, chronic pain is a logical result. Ischemia can be created anywhere in the anatomy, but some of the most common places include the lower back (including the sacroiliac), the neck, the head and the digestive tract. Since Dr. Sarno theorized that the origin of pain exists in the mind, this is where he has treated it. His therapeutic program boasts some of the very best statistics in the back pain treatment industry, with the vast majority of treated patients enjoying lasting cures for their pain. Although his theories and methods seem odd to novices in mindbody medical knowledge, there is no arguing with Sarno’s efficacy. However, there is no trick to his success. 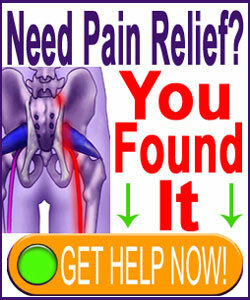 Instead, his cure rate simply proves one thing: Chronic pain is rarely the result of purely anatomical circumstances. This makes sense, given that the body’s main imperative is to heal. Why then would pain stick around for years, especially when the structural issues deemed causative are virtually universal in most cases? Forgoing physical treatments like drugs, injections and surgery, Sarno focused on mindbody work called knowledge therapy. He taught patients all there is to know about why they actually have pain, including the personality traits that drive the symptom imperative. He simultaneously reassured patients that there is nothing wrong with their anatomy and that any diagnosed structural issues are usually actually quite normal. The treatment process takes time and the full active participation of every patient. However, for those who apply themselves, statistics show excellent cure rates, with very few patients suffering relapses in the future. Dr John Sarno has since passed away at a very old age. He is not publishing any more of his famous books. However, his past contributions to modern medicine will go down as some of the most memorable and useful in the last hundred years. Dr. Sarno has been a voice of truth and a champion of the power of the mind. Unfortunately, the medical system is still mired down in antiquated and incorrect knowledge that is motivated more by money than it is by reality. Hopefully, time will change this fact and if we can help, we will do whatever possible to improve therapeutic outcomes for all patients. The Cure Back Pain Network features the most comprehensive coverage of all things TMS-related. We have published hundreds of essays on the subject and have used this knowledge to further our own propagation of mindbody medicine. While TMS theory is not complete in many ways, Sarno set many open minds on the right path when it comes to chronic pain and for this accomplishment, we thank him eternally. For more information on the very best practices in knowledge therapy, please enjoy our proven pain relief program, which is the only one in existence to bring together a collection of extremely effectual techniques to prevent, manage and cure pain.